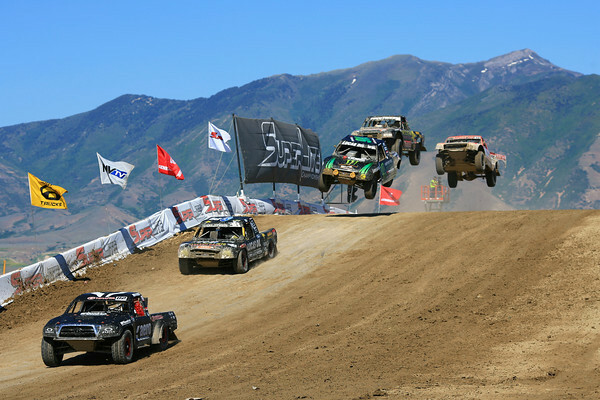 TOOELE VALLEY, UTAH (June 18, 2012) —One of the wildest events of the year is on tap at Miller Motorsports Park this weekend, June 23-24, as the Lucas Oil Off Road Racing Series makes its third annual visit to Utah. On-track action gets underway on Friday with practice and qualifying sessions, and admission is free to everyone. A VIP Pre-Race Party will take place on Friday night at The Hotel nightclub at 215 W. South Temple in Salt Lake City, with a number of race vehicles on display and many of the series’ drivers on hand to meet fans and sign autographs. There will be a full slate of practice, qualifying and racing on both Saturday and Sunday on the Off Road Short Course at Miller Motorsports Park that was built last year specifically for the Lucas Oil Off Road Racing Series. The action will start at approximately 10:00 a.m. on both days and last until approximately 6:00 p.m. In addition to the Lucas Oil Off Road Racing Series, the fourth annual CruiserFest will be taking place simultaneously. CruiserFest is a celebration of the Toyota Land Cruiser at Miller Motorsports Park’s Rock-Crawling Couse, which is located adjacent to the Off Road Short Course. This annual gathering celebrates Toyota’s off-road heritage and is open to all Toyota 4x4s. This year, in addition to the rock-crawling, time trials, RTI Travel Competition, and teeter-totter taking place on the Rock-Crawling Course, the grand opening of the Land Cruiser Heritage Museum will take place along with a Cruiser-themed art show, a Show ‘n Shine, radio-controlled car competition and a live auction. This will be a very family-friendly event, with lots of up-close-and-personal access to the racing drivers and teams. The Miller Kart Track and Zip Line will be open for rides, and the Larry H. Miller Total Performance Museum will be open at no charge. People-mover trans will facilitate travel throughout the facility, and there will be lots of cool merchandise to purchase for mementos as well as great food at the Ace Café and Café Monza. Tickets for the Lucas Oil Off Road Racing Series event are priced at $30 per day/$50 weekend for adults, $10 per day/$15 weekend for kids 6-12 and kids 5 and under free of charge. Military personnel are eligible for a $5/day or $10/weekend discount on ticket prices. To obtain tickets for or information about Miller Motorsports Park, visit the track’s website at www.MillerMotorsportsPark.com or call 435-277-RACE (7223).